So this seems to be a pretty popular thing to do, and with it keeping me accountable to actually produce content and be able to get feedback easily, I thought it'd be a good idea to start one of these myself. Lets see how far we can go. So first thing's first, I've taken my currently played video games and consoles and locked them in the attic and handed someone else the key. I've also put my phone in another room so it's inconvenient to use and only eat when I'm hungry. This is due to the fact that I have 3 "commissions" to complete, one who's been waiting quite a while, and I'm sick and tired of getting engrossed or distracted by something else and getting next to no work done, so I've decided to remove almost all distractions until I've managed to complete all of these projects. Yeah that's where this poor guy ended up. 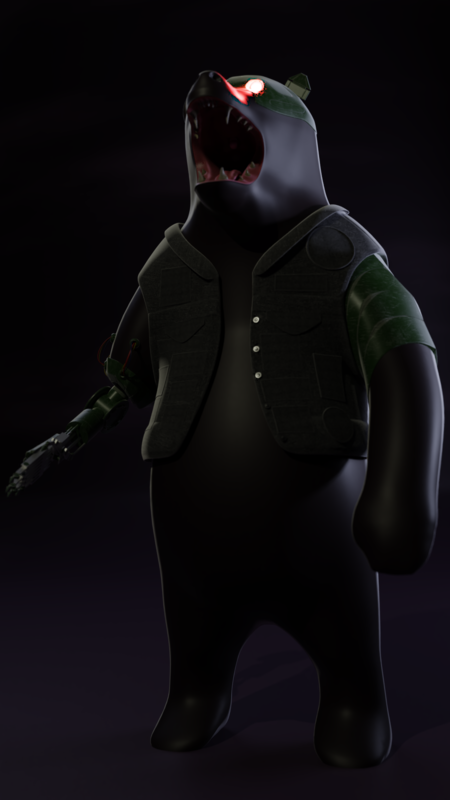 Obviously got a tonne more details to add, but he essentially wants - as you've probably gathered - a cybernetically enhanced bear (a black bear specifically), though I still have the background and the rest of the scene to do. Seeing as the final results would probably look odd in my gallery I'll end up repurposing it for another scene and upload that instead. One of the other "commissions" I have wants a profile picture, a profile picture of - and I quote - a "menacing cereal bowl". Don't really have anything to show for this one but it'll be interesting to see how I take this challenge. Well that's everything from me, I'll be seeing you all around. Have a good day and happy blending! 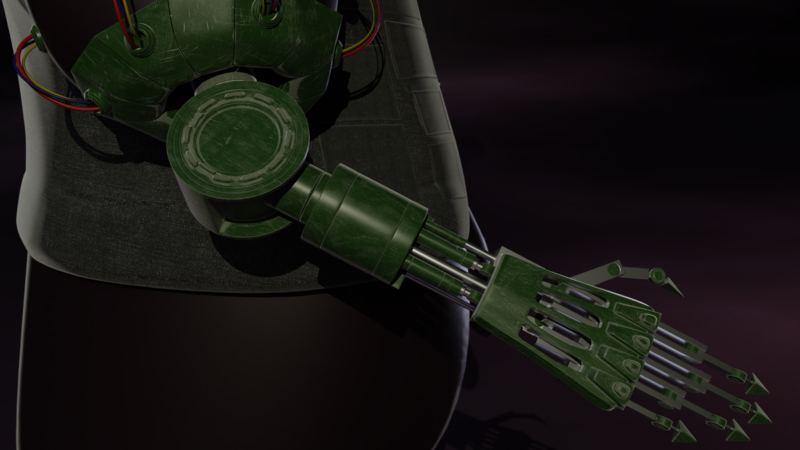 Here's a close up of the arm. Apologies for the poor lighting all around but this isn't gonna be the final pose + I'm rather tired. Welp, not as tired as I thought. 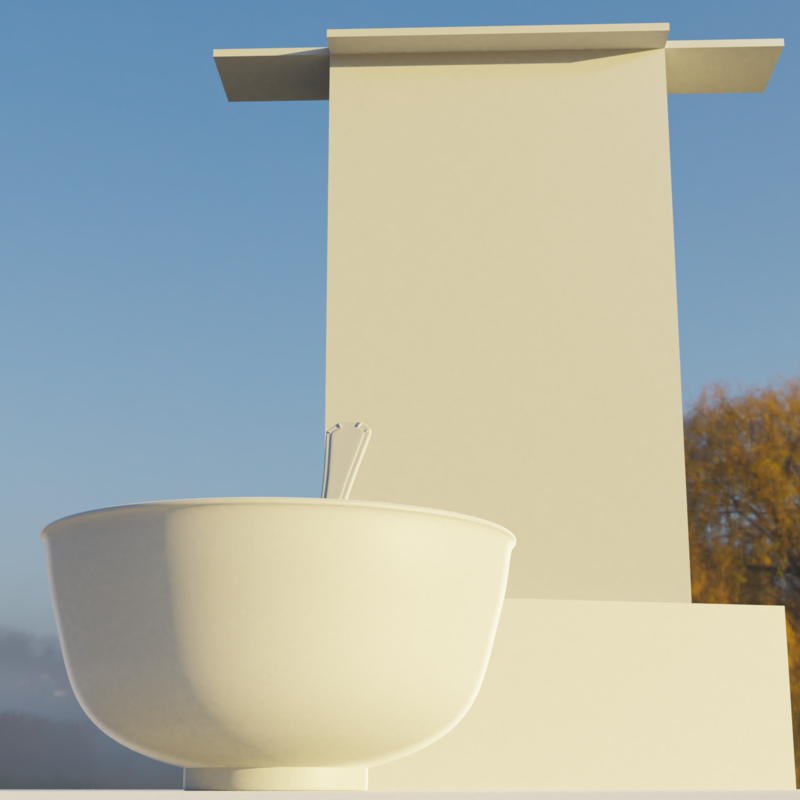 Started blocking out the second project, a "menacing cereal bowl" and got the basic composition set up. How will this go? I have no idea. 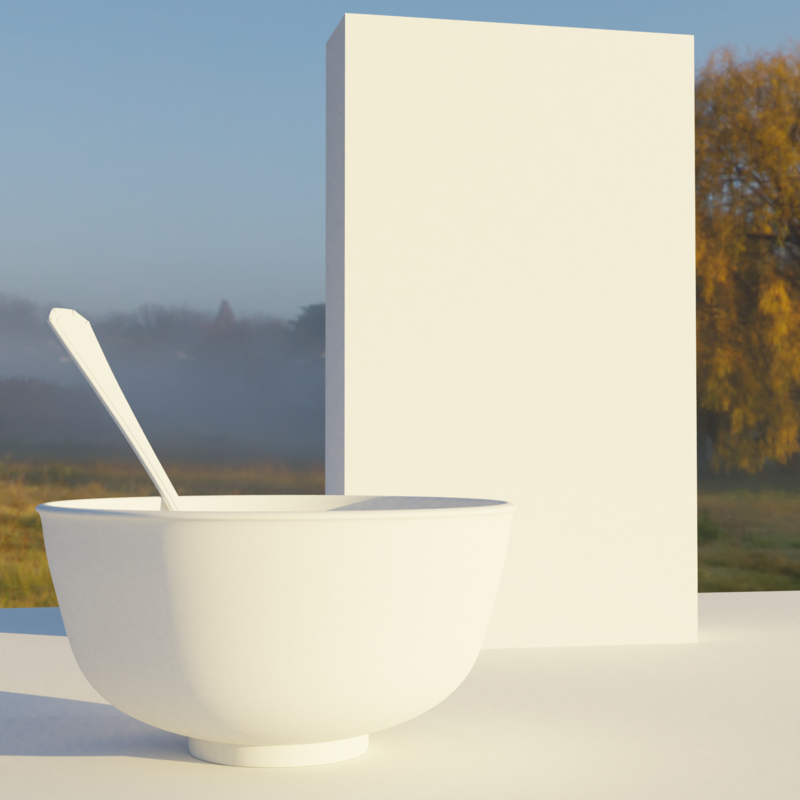 Even composition wise there's things to improve, like maybe the spoon could "connect" with the cereal box and make it flow much better, but that'll be it for now as I go to sleep. Happy blending! 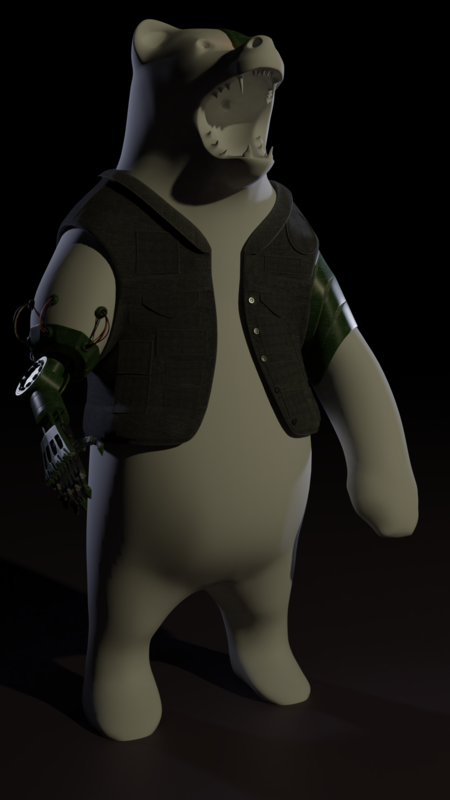 thecabbagedetective Ahh there's the bear from the beginner class and the robo arm teaser from the lighting class!! Cool 😎 Looking forward to seeing this evolve. I'll be keeping an eye on your Polybook to see your progress and give feedback. 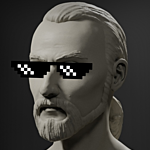 I'm trying to only be on the forum once or twice per week (as you can see I don't always keep myself to that promise) so I don't get to much distracted from my own homework and stuff, so it might sometimes take a couple of days before I respond. Looking forward to your work and progress. thecabbagedetective For the cereal bowl, maybe try and extreme angle from below and lighting it from below. Both of those things are used to suggest menace/villainy. The angle shot to suggest the viewer is being looked down upon from the subject and the low lighting feels unnatural because we have lights over our heads most of the time, so it's different. And heck, draw a face on the bowl. smurfmier1985 Glad to hear you're liking it, looking forward to seeing what you think! nekronavt 'Ello 'ello 'ello, it appears Pavel has arrived! I'll certainly try not to disappoint. silentheart00 Yeah that was what I was debating on, the biggest hindrance being I wanted to show off the cereal in the bowl, however after discussing it with my friend he seemed okay with it so that's what I'm rolling with. 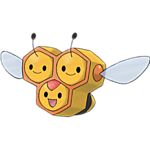 The face is apparently off limits though lol. Thanks! 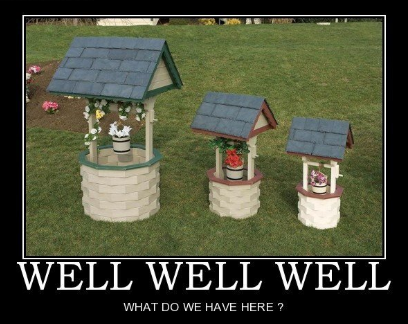 Well, not much admittedly. Adjusted some materials for the most part, alongside practicing more lighting. 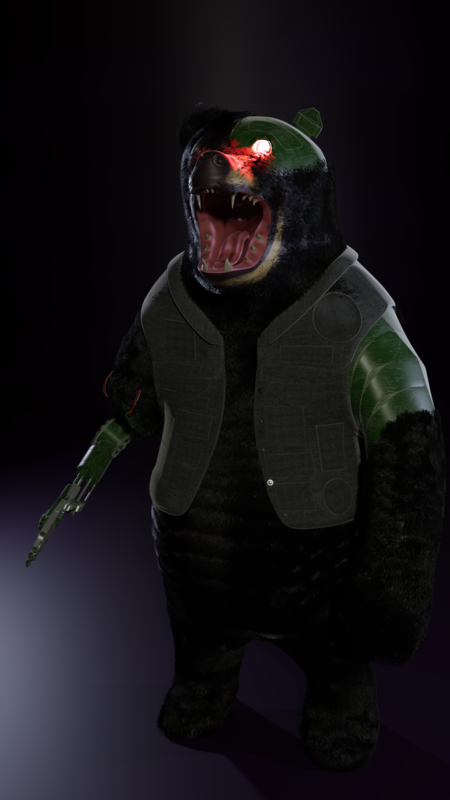 Looking forward to adding skin materials, fur, iron fingers etc to bring it to the next level. And that's about it for today! One thing I have to announce is I now have a Twitter account in which I'll be uploading my renders, WIPs and other stuff like video games and possibly music, so if you wanna hang out on there then follow this link, 'cause as of right now it kinda feels like I'm talking to myself lol. With that done I consider another day of work finished and I'll wish you a good day. Happy Blending! thecabbagedetective Hey, if the client doesn't want a face, the client doesn't want a face. At least you asked and know where to go from there. silentheart00 Yep, the customer's always right. 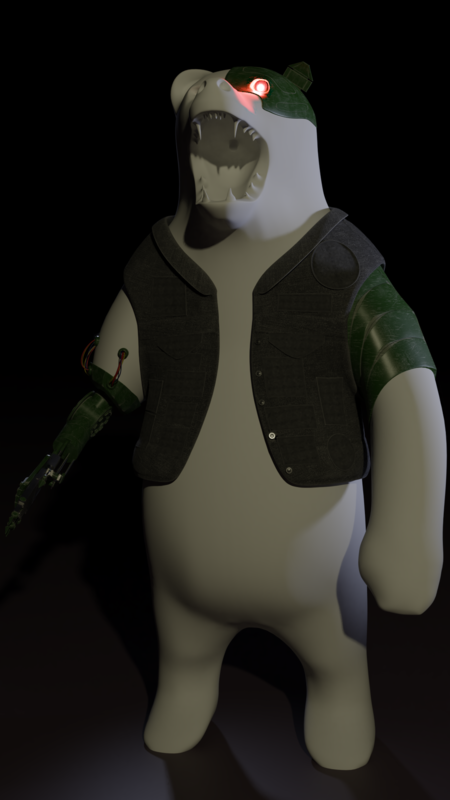 First time messing with hair physics and it's really damn cool, though I still got more layers to add and to add in the creamy-esque fur for the "beard" that black bears have and to tweak the comb and blegh, just that there's a lot for improvements but I'm looking forward to it! Advice - as always - is very much appreciated, especially here. Happy Blending! I did the same couple of months ago. Deleted all games from my computer. 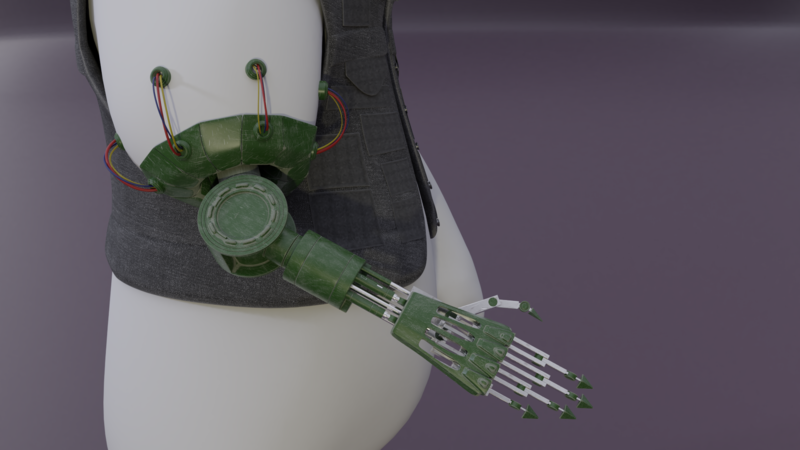 After vehicle modelling class i discovered that i cant force myself to complete my personal works (have many project in wip state) However i replied to some volunteer 3D artists requests on blenderartists.org which is one of the best decissions i have ever made. I highly recommend to all who need some pressure behind to be able to finish their work. thecabbagedetective They're right to an extent. As long as they're nice and willing to work with you, no problem. thecabbagedetective Looking good! I have very little experience with Blender's hair system so I don't have much useful to say on that front. Just one critique: while I realize this is a stylized character and the anatomy is somewhat up to tast, as for my tastes, his mandible is too wide. 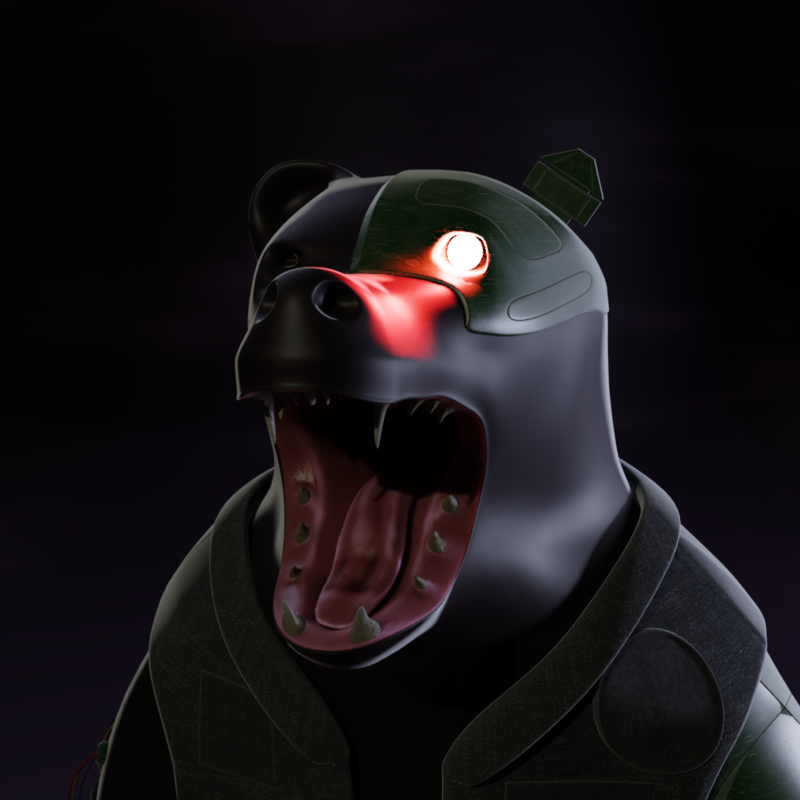 I think narrowing it such that it fits inside the upper jaw will make him feel more bear-like.